I often write about Hamas and how hateful (in both senses) they are. But I want to make it concrete today. Exactly nine years ago tomorrow, by the Jewish calendar, a Hamas suicide bomber detonated a massive blast at the Sbarro pizza restaurant in Jerusalem. 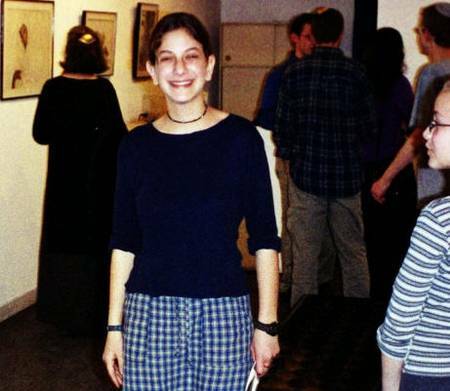 One of the fifteen murdered (130 were hurt) was 15-year old Malka ‘Malki’ Chana Roth. Malki’s family has established a foundation in her name, to assist families with special needs children. Is it necessary for me to point out the difference between a culture that responds in this way to the one that still considers the Sbarro bombing one of their finest moments? The Sbarro massacre was coordinated and planned by the Hamas terror organization’s Ramallah	branch. Six weeks later, a triumphal exhibit at [An-Najah] University, the largest in the West Bank, featured a mock-up of the Sbarro restaurant including gnawed pizza crusts and bloody plastic body parts suspended from the ceiling as if they were blasting through the air. See the New York Times report (PDF version) and this video record of the event. Hamas, which today rules Gaza with an iron and bloody fist, published a	particularly dishonest, self-delusional account here. 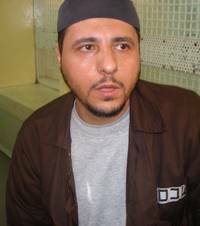 The explosive charge was manufactured by Abdallah Jamal Barghouti, the chief “engineer” of the Hamas infrastructure in the Judea region. The bomb, along with screws and nails to magnify the devastation, was assembled inside a guitar case which Al-Masri carried. Barghouti is a Kuwaiti who settled in the West Bank village of Burqa in 1999. He has been frequently described in the media – and from his own mouth – as the brains behind the massacre. At his trial, evidence was produced to show that Barghouti’s relative Marwan Barghouti – a prominent Palestinian Arab political figure now serving several life sentences for murder – paid Abdallah $500 to build the bomb. This came on top of	the $117,000 he received for his troubles from Hamas, according to evidence given to the court in Abdallah Barghouti’s multi-murder trial. Others were involved in providing funds – large sums of cash – for the terrorists themselves and for their families. A 2005 news article “Hamas	Financier Detained” describes the involvement of Hamas ‘activist’ Ahmad Saltana [PDF version here] in the financing of the terrorist murders. The human bomb’s guide was Ahlam ‘Aref Ahmad al-Tamimi, also known as Ahlam Tamimi, a 20-year-old innocent-faced Jordanian national who lived in Ramallah, studied in Bir Zeit,	and worked as a journalist. Tamimi was involved in gathering the intelligence for the attack and on the day of the massacre, along with the suicide bomber and the charge hidden inside the guitar, she headed for a taxi-cab station in Ramallah, where they took a taxi to Jerusalem. Tamimi carried a camera and spoke with the suicide bomber in English so that they could inconspicuously pass for	tourists. She was arrested on 14th September 2001. For her part, Tamimi was sentenced to sixteen life terms, or 320 years, in an Israeli jail (report and report). She was the first woman to have been recruited by Hamas’ Izzadine el-Qassam gang. She has never expressed remorse of any sort. 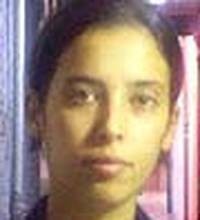 For some additional, deeply disturbing, background about this female, see “The Real Ahlam Tamimi You Didn’t Read About In The Times” by Noah Pollak (published 3rd August 2007). 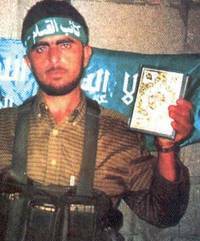 Another co-conspirator was Mohammad Daghlas, a “student” who delivered the bomb that was used in the massacre. He is now in an Israeli jail. By the way, among the 1,000 (or 1,500 — it changes) prisoners that Hamas is demanding that Israel release in exchange for the kidnapped Gilad Shalit, we find the Barghoutis and Tamimi. This is only a single story. There are hundreds of similar stories in which families are torn apart because children, mothers, fathers, grandmothers, grandfathers, etc. have been brutally and deliberately murdered by Hamas terrorists because they dare to be Jews living in the land of Israel. In face of the Jews’ usurpation of Palestine, it is compulsory that the banner of Jihad be raised. Asked again for his opinion on Hamas, an exasperated Rauf wouldn’t budge. This entry was posted on Thursday, July 29th, 2010 at 1:12 pm and is filed under General. You can follow any responses to this entry through the RSS 2.0 feed. Both comments and pings are currently closed. The British insist Israel open its borders with Hamastan. Sure and the bodies of Jewish children lie in their graves as a reminder of how Palestinian convenience must take a backseat to ensuring the safety of Jewish children. This is more important than the world’s concern Gaza should be allowed to thrive. This person by implication underlines the total immorality of those Western supporters of ‘Hamas’ who wholly ignore its murderous and inhumane intentions and actions.